I missed a few things off my write ups of my trip to Canada and I’ve not stopped drinking since I got back. Actually, that doesn’t sound good. “I’ve not given up drinking since I got back”? Doesn’t sound much better. Anyways, I drank things. Some of them are below. Collingwood – A whisky that picked up a silver medal at the Canadian Whisky Awards in 2012 and a product of the Brown Forman stable, with Jack Daniel’s master distiller Chris Morris behind the production. 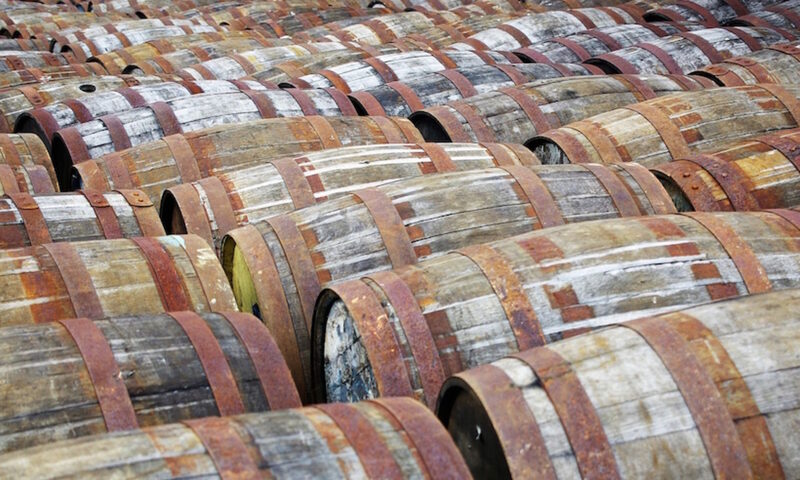 It’s USP is that at some point during the maturation point it is ‘mellowed’ with maple wood – maple barrels leak rather badly so I expect it won’t have spent too much time in them. We’d sold out of it at work by the time the awards were announced (it’s packaged in a rather nice ‘traveller bottle’ that seems to have a pulled in some interest) and I thought I’d better have a taste. On the nose it had old skool Wham Bars, the rectangular lollipops I used to get from the chemists in the 1980s, blackcurrant Chewitts and pungent honey. To taste it had rye spice – mint, medicine and lots of root beer. It also had dark chocolate, sweetener and orange juice (from concentrate). It finished quite medicinally with chocolate and orange behind. I hated this, but I don’t like root beer – for those who do, it’s like a chocolate orange root beer. You’re sick people. Alberta Premium Dark Horse – Another silver medal winner, bottled at 45% and very much focused on rye. It’s a tweak to the usual Alberta Premium recipe, going for a blend of 12 year old rye whisky and 6 year old pot-still rye matured in new and refill oak, as well as (the less trustworthy parts of the internet say) some sherry cask matured spirit and a touch of ‘bourbon’ (quotes as I assume the ‘Canadian Whisky’ on the bottle means that it’s Canadian made corn-whisky rather than actually bourbon). On the nose it had dry rye spice, cocoa, butterscotch, coffee grounds and some malt. To taste it had a big sweetness up front – brown sugar syrup? – backed up by more rye spice, hints of mint and green leaves, dark chocolate towards the death and a slab of aged agricole rum butteriness in the middle. It finished with cocoa, mint, caramel, green leaves and grass. A nice balance of traditional rye and some softer elements (I assume a mix of corn whisky and refill cask matured rye) that I now wish I’d grabbed a bottle of when I had the chance. On the nose it had sugar syrup with lots of floral notes and a hit of honey underneath – a combination of real pungent honey and fake ‘honey flavouring’. Along with that there was some orange and a touch of caramel, the closest it gets to whiskey flavour. However, on the palate it started with sugar but was backed up with a bit of bourbon spice and a kick of booze. That was followed by black tea syrup, caramel and orange oil, which turned bitter as it sat in the mouth, balancing out some of the sweetness. It had a surprisingly long finish, with zesty orange, butter and the expected sugary sweetness. I wasn’t that much of a fan but as it’s recommended to be drunk chilled I stuck an ice cube in to see what happens – I rather liked it. The dilution and chilling didn’t kill the sweetness as I’d hoped, but did bring out a cinnamon fireball zinginess. Not a lot, but enough to add something quite tasty. I suspect I may enjoy drinking this with Coke. I feel dirty but don’t really care. In related news, I’m glad to see that Wild Turkey are pushing forward into the modern society of the 1980s with this part of their American Honey website – the American Honey’s gallery, featuring all-American girls in their pants. Good work there. 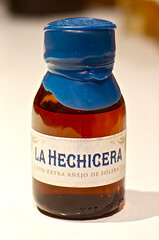 La Hechicera – A rum that I wrote a quick description for at work when it appeared, only to have occasional booze pimp Su-Lin Ong force a sample bottle into my hand after the last Berry Brothers Whisky Squad. It’s a Colombian rum named for the Spanish word for ‘enchantress’, and they’re going for the fine line between fantastically packaged premium rum and premium rum that’s worth the money, coming in at £40 a bottle. On the nose it had honeyed sweetness as well as some sharp fresh sugar cane flavours, some sultanas, butter, salted caramel and fresh coconut. To taste it was quite lightly flavoured, with a bit of sweet butter, woody bitterness and caramel. It finished with some initial sweetness which faded to leave some bitter wood, mustard and a touch of liquorice. A great nose that the body didn’t quite live up to for me, coming in a bit too light for my taste. A decent enough sipper, but I suspect it’d get lost if mixed or diluted. Canadian Whisky, 40%. ~$30 US. Canadian Whisky, 40%. ~$30 Canadian. 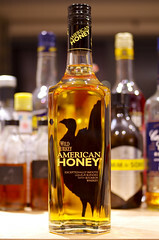 American Whiskey Liqueur, 35.5%. ~£25.